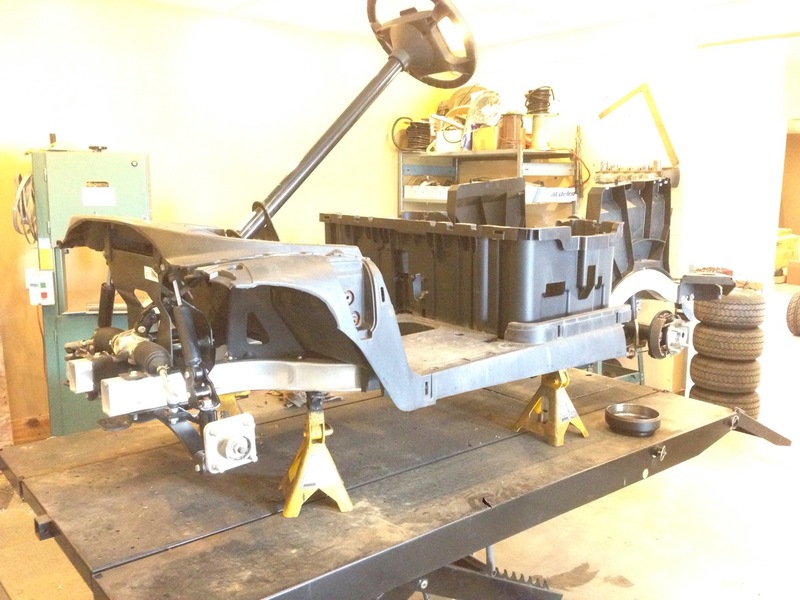 Up on the lift and stripped down to the bare bones. Getting a serious inspection and refurb! 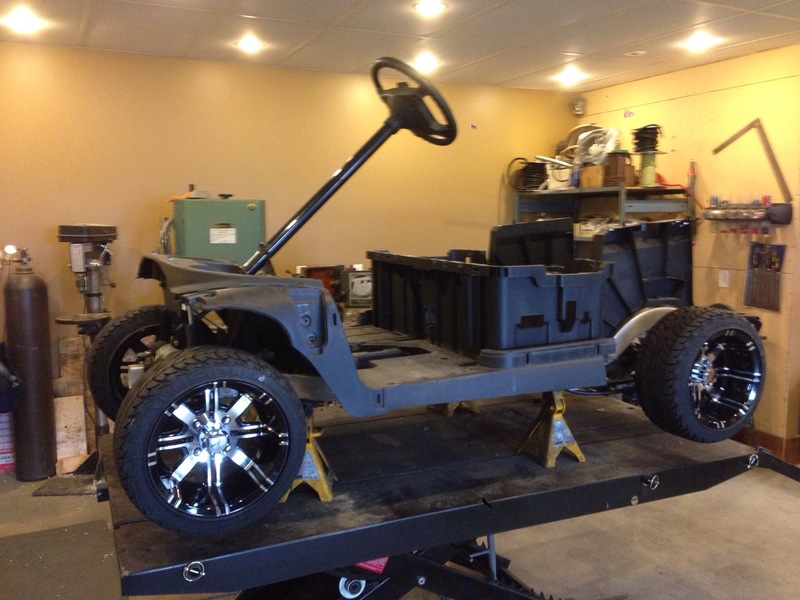 Each SC Carts cart goes through this extensive refurbishing process which is unmatched by any other cart builder. 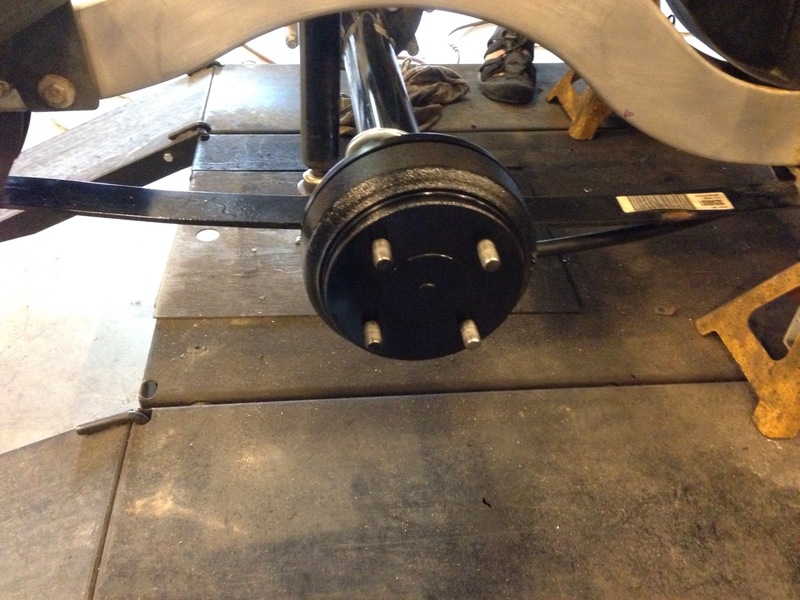 Things like bearings, bushings, front end components, brakes etc… are all carefully inspected and evaluated. 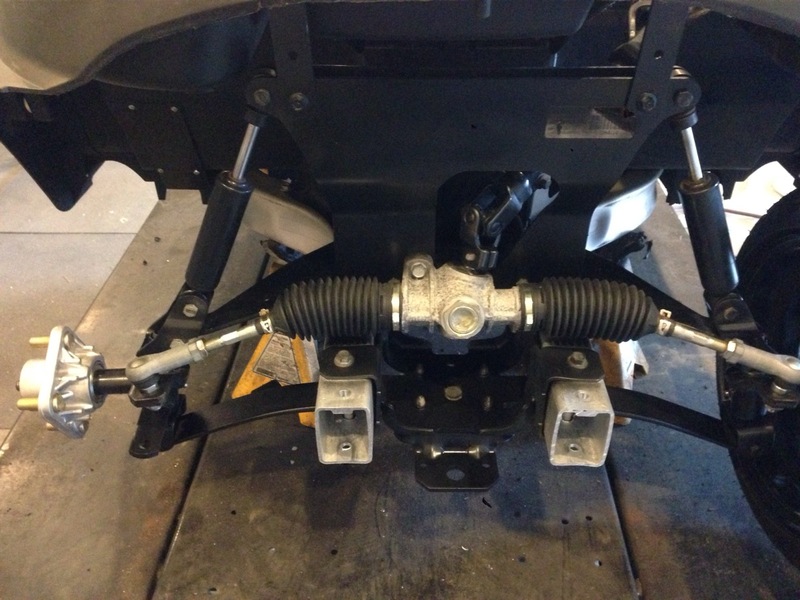 A complete braking system overhaul was important as this cart will really be cruising, also new brake cables were added to the speed machine. The completed front end looks just like new, and during our inspection we found a rough turning bearing, so the entire hub was replaced. Just another reason one this process is so important. 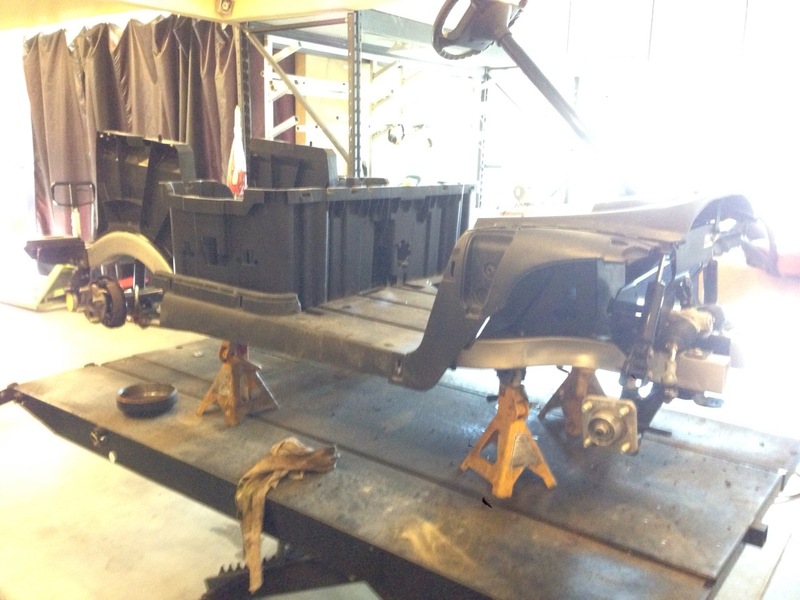 With the mechanics of this cart complete, we could turn this chassis into a roller! 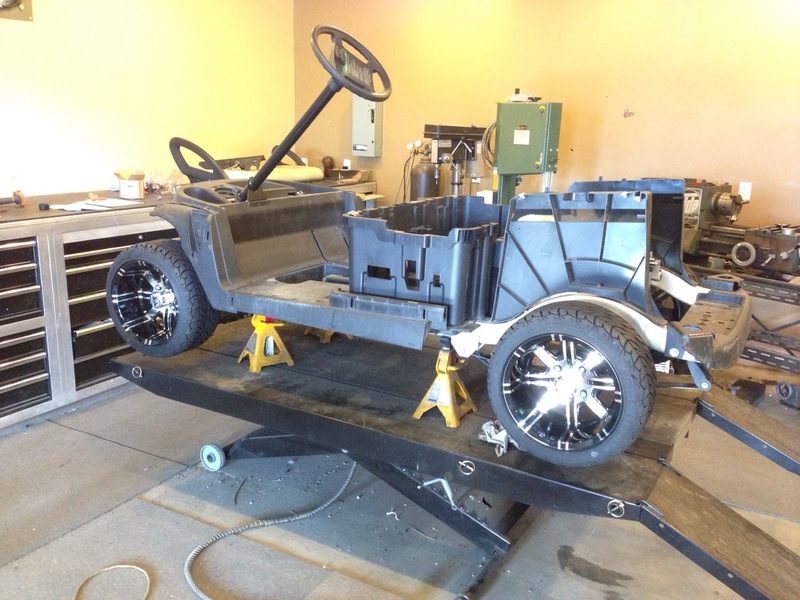 We think a “high” roller is what it has become, these rims look awesome and give this cart a cool stance, and it’s not even sitting on the ground yet. Here we go! 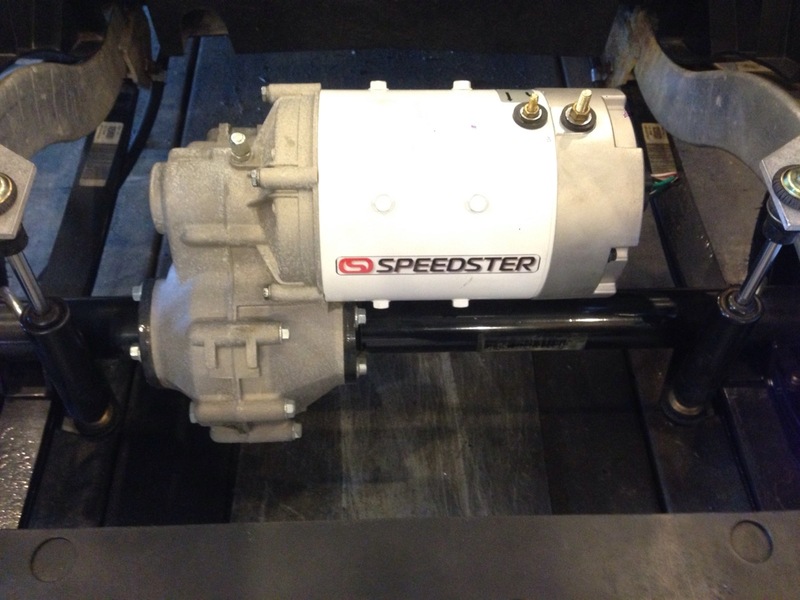 Getting into the good stuff now, our SC Carts Speedster motor is installed on the freshly serviced rear end, this motor is going to be responsible for a couple “friendly” neighborhood drag race wins! 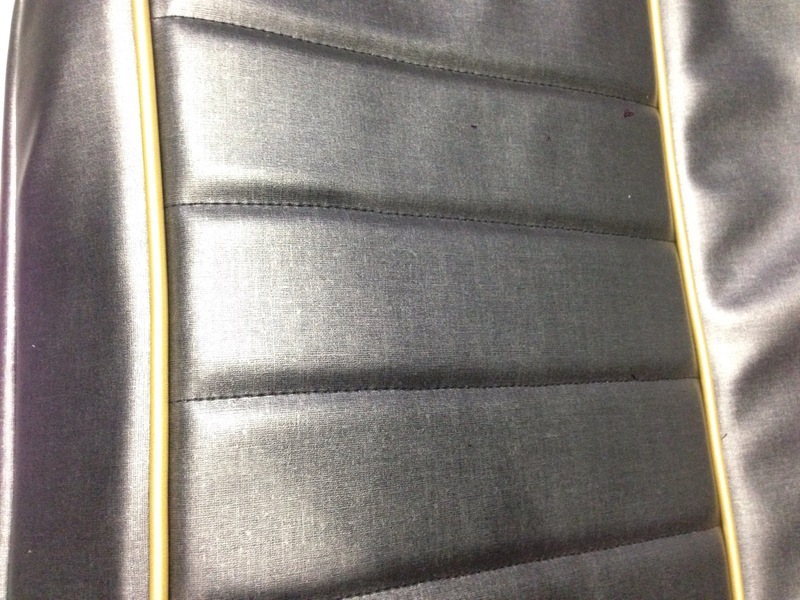 Of course to go along with the fast pace of this cart, you need to have some flash as well, and this upholstery adds just that. 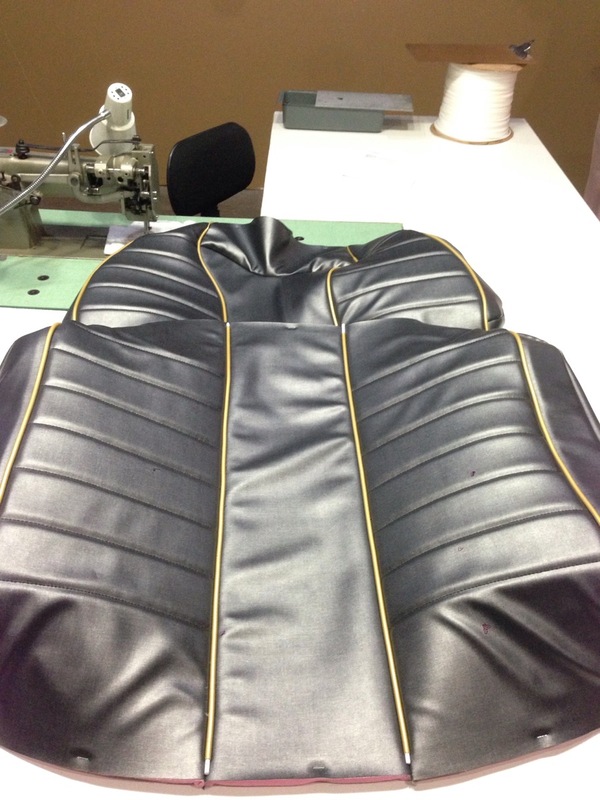 This custom material adds a touch of class and is accented by the gold piping, something that has to be seen in person to actually appreciate how amazing this looks. Now that we have peaked your interest, we are calling it good for the week. We have some incredible things ahead for this cart, some SC Carts first, which means they will be industry firsts as well. Be sure to check out our Facebook page for updates during the week!